Exactly one month ago, I bought my first cryptocurrency (Ethereum) and one week after that I bought my second cryptocurrency (Litecoin). In general, the cryptocurrencies are still in the bull trend now (at least to me) but the volatility is still fast and furious, double digits up or down within a day is very common. However, as "invested" amount are only in the hundreds and I make sure that these are my casino money (i.e. money that I am prepared to loss all). Today, I've decided to release a portion of my Litecoin to cash out all my casino money (initial cost of SGD750+) while leaving the balance (around SGD900+ at the time of writing) in my account as FREE money. The reason why I sell Litecoin instead of Ethereum is because I personally view that Ethereum has much more rooms to go (comparatively) and Litecoin has been shooting to the roof in the past few days and hence decided to take the profit first. Who knows, I might enter/accumulate more at a later date when correction happens. NOTE: Do you due diligent when "investing" in cryptocurrency. 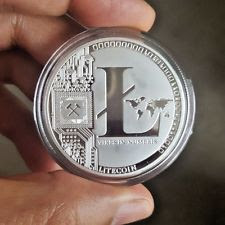 But I'm waiting for Litecoin to hit $1000 leh LOL. Hahaha, I think Ether will hit $1k Mark first.. but I thought u have sold some of ur Litecoins too?